When my eldest son was a toddler, he was obsessed with animals. Apart from having an enormous collection of those extremely expensive (but wonderfully detailed and scaled) plastic animals from Germany, we had books, puzzles and games all about animals. When his grandparents were planning a trip to Africa, there was much talk about the wildlife they might see. His Nana offhandedly said that they might spot “Lions and tigers…” With a look of horror, my son said ,”Tigers don’t live on the savannah, Nana.”. Maybe Nana should have checked out this app. Who Lives Here? 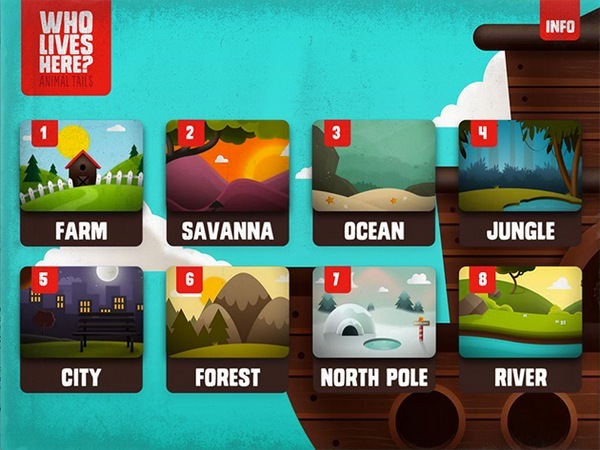 Animal Tales was created by Puffin Books Australia in partnership with Brickman. 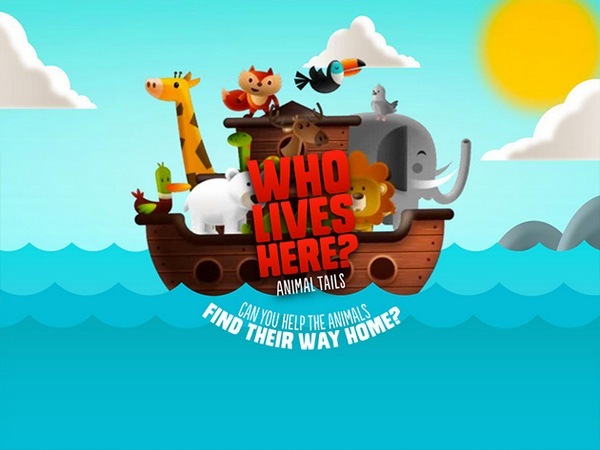 It’s a simple app for toddlers designed to help them learn the sights and sounds of animals from all across the world and in a variety of diverse environments. Whether it’s an octopus underwater, a seal from the North Pole or a cat in the ‘urban jungle’, kids will be instantly drawn to the challenge of matching animals to their environment and interacting with animations and sounds. 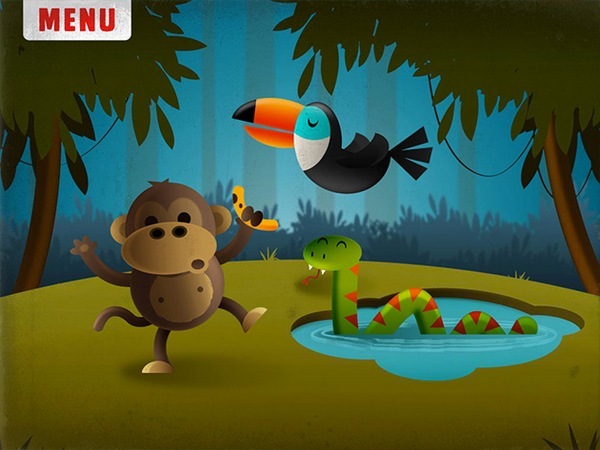 The simple but eye-catching graphics stand out – crisp colours and friendly creatures are coupled with a suitable number of interactive elements (tap and tilt screen responses) and simple sound effects. Notably, the narrator has a slight Australian accent. And yes, there’s a savannah section (naturally, there’s not a tiger in sight!). Who Lives Here? Animal Tails is available for $2.99 via iTunes. It’s suitable for children aged three years and over.